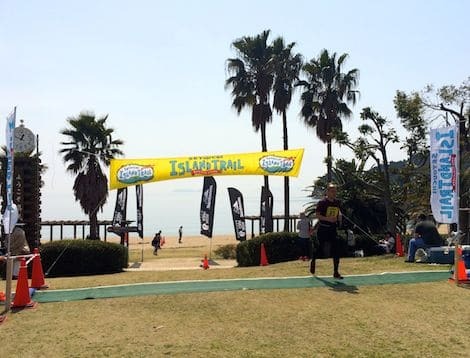 As a newbie to the trail running scene, I purchased my ticket to the Setouchi Island Trail run with a mixture of apprehension and excitement. Recommended to me for its superb views and challenging terrain, it seemed like a good place to begin my acquaintance with trail running. The 11km run was my challenge of choice, there is also a half marathon option (22km) if you’re that way inclined. It all seemed to happen overnight. Winter had quietly snuck away and spring was blooming throughout Hiroshima. 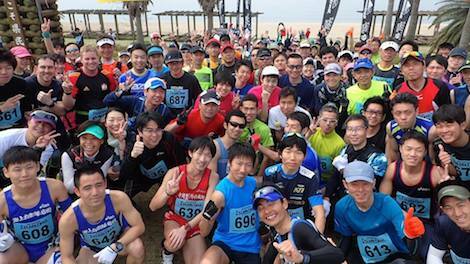 It required an early start to arrive at Kenmin-no-hama Beach Park on Kami-kamagari Island and go through registration leaving time to take in the views. 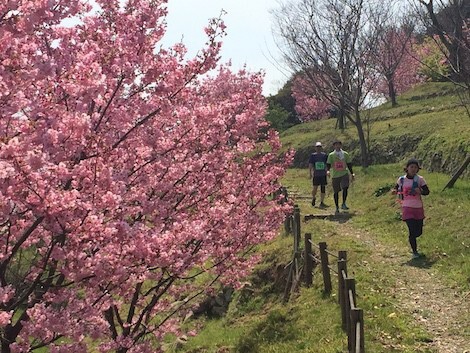 Adding to its charm, the Setouchi Island Trail is smaller than most races in Hiroshima with only a few hundred participants in each of the two races. Split into groups, we waited for our start time. As I looked out across Kami-kamagari Bay, I made a mental note to revisit this spot in the summer. Imagine an undisturbed, sheltered bay, with white sand, secluded from major roads and train tracks. The perfect place to camp out and relax, or in this case, head in the opposite direction to scale the terrain of the slopes behind us. The race itself was one that required focus. Nothing like the usual sidewalk pounding I was used to. It was a balance between sure-footing, coordination and momentum. As a rookie, this was easier said than done. Protruding twigs and low-hanging branches added to the fun and challenge of dexterity in trail running. 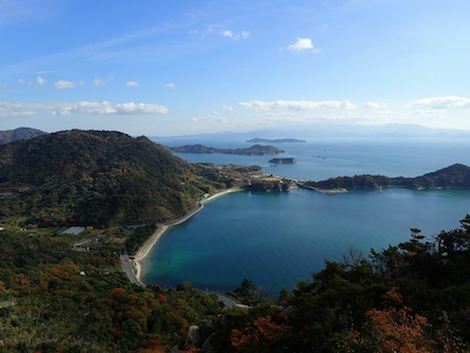 After each incline you are rewarded with a stunning view of the seas and surrounding islands. Also a good excuse to slow your pace for a moment to ‘take it all in’. The declines were just as fun as the inclines, however requiring a different kind of footing (to ensure momentum doesn’t get the upper hand during your descent). It is at this point when the deftly footed runners had an advantage as they trotted down the hillside. After this seemingly mammoth slope was behind me, I spared a thought for the 22km runners who had two more ahead of them. My final slope to conquer was not nearly as steep as the first but certainly not easy. Lined with freshly bloomed blossom trees, I took in my final hilltop view. Amazing. The early morning haze had lifted and the water was crystal clear. Looking down at the stretch of sand below me, I could see the finish line. Two days on, my legs were still a bit stiff and the thought of sitting on a tatami mat unfeasible. Still, I can’t wait to sign up again for next year. An unforgettable experience for anyone wanting to try trail running. A great crowd with an unbeatable setting. 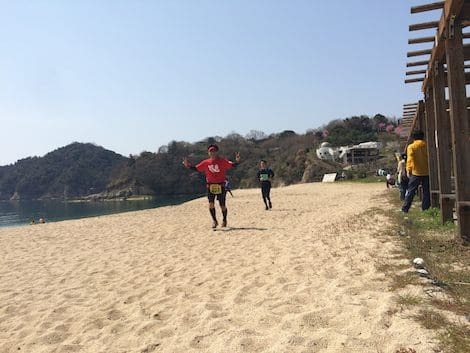 The Setouchi Island Trail race is held annually. Keep an eye on the links above or this event listing for the latest information.